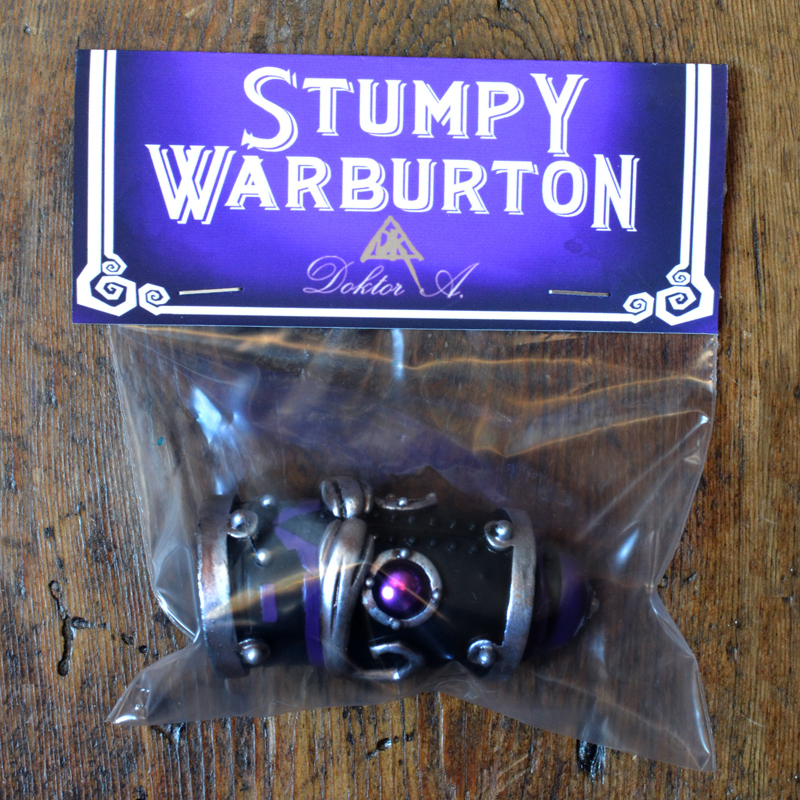 Stumpy Warburton “Mourning” edition will be released exclusively at Designer Con in Pasadena on November the 8th & 9th. 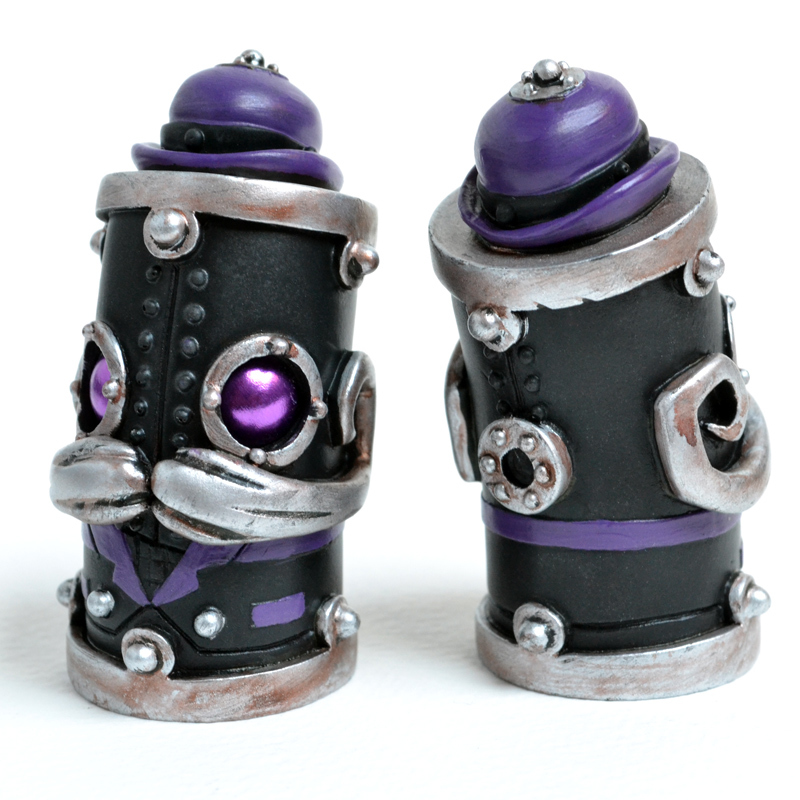 There will be ONLY 20 of these 2″ tall resin figures, each hand painted by Doktor A. Signed and numbered, carded and bagged. 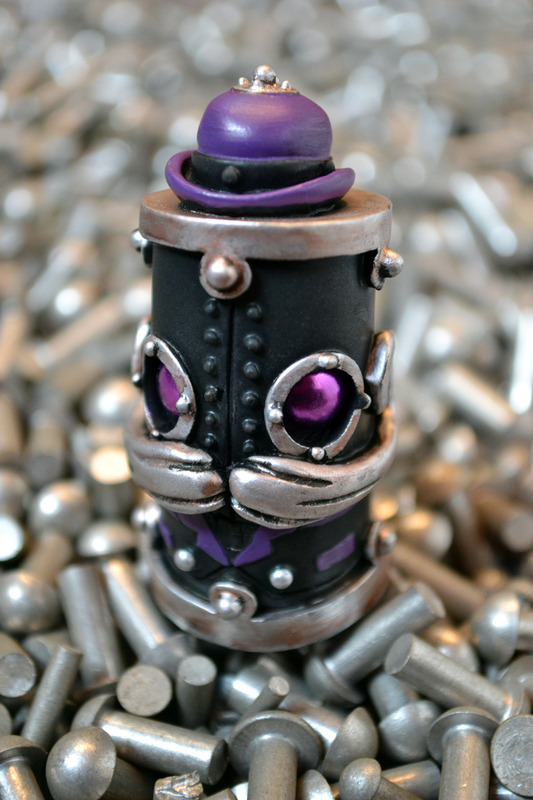 Available from the Doktor’s booth, Number 416. 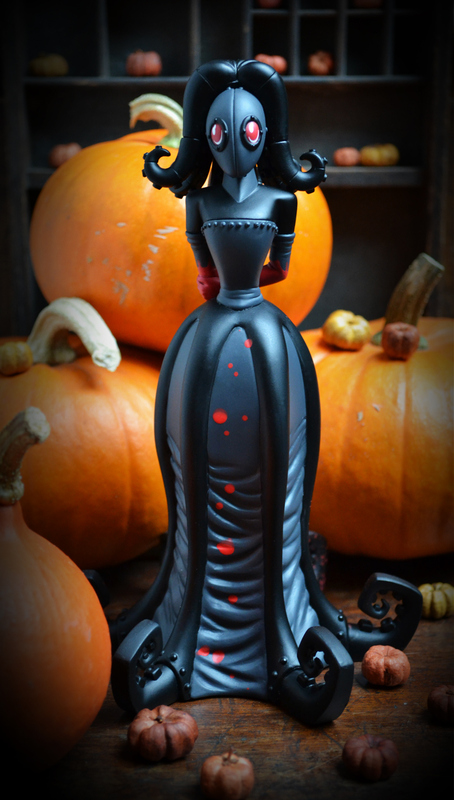 Bella DelaMere the “Dead of Night” edition. 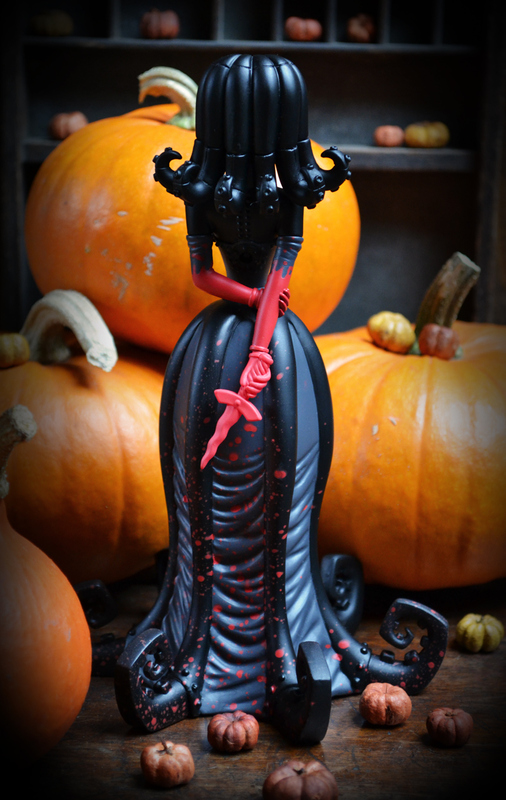 This heinous huntress for the haunting season brings a splash of horror to your Halloween. 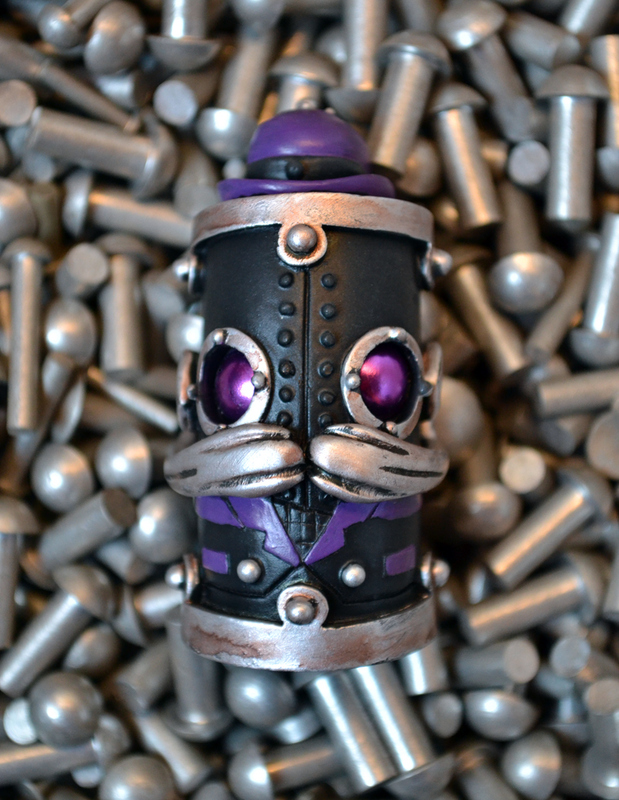 Wielding a jagged blade and ill intent the mechanical masked malefactor is out for blood. Decked in shades of pitch and gloom and randomly bespattered with arterial colour, young Bella has been up to no good in the deadliest of ways. Limited to only 175 pieces Bella will launch at 11.59pm on the 30th of October (UK time). 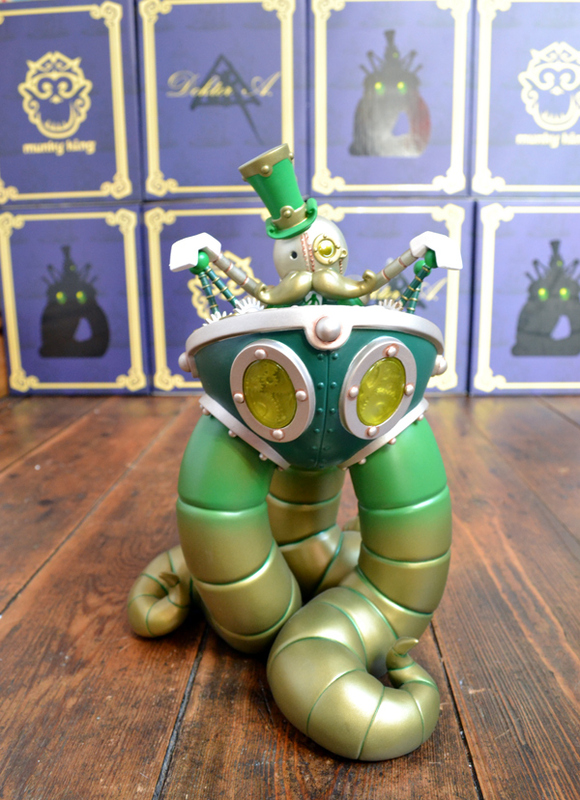 So kick your Halloween off the right way by picking up the penultimate incarnation of this retrobotic, be-tentacled beauty. Available from the Arts Unknown web-store for £65. 8″ tall rotocast vinyl art multiple figurine. Each piece is randomly spattered with red gore, making each piece individual. Comes in presentation box with formed protective inlay. 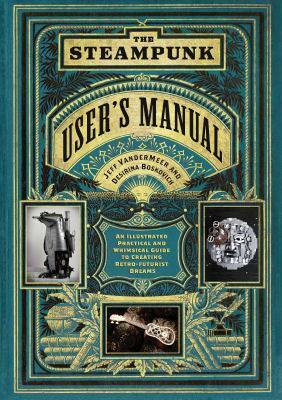 The Steampunk User’s Manual roams much farther afield than the previous volume, The Steampunk Bible, and includes examples on the cutting edge of retrofuturism. It also includes a variety of projects that range from the practical to the impractical—by design. 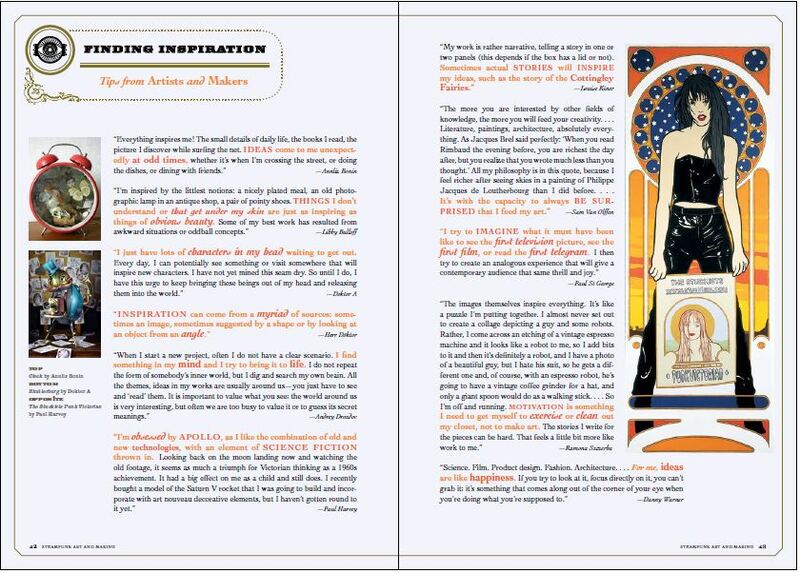 Through examples, instructions for projects both small and large, and interviews with top creators, you get an inside look at how to get started creating your own Steampunk visions. 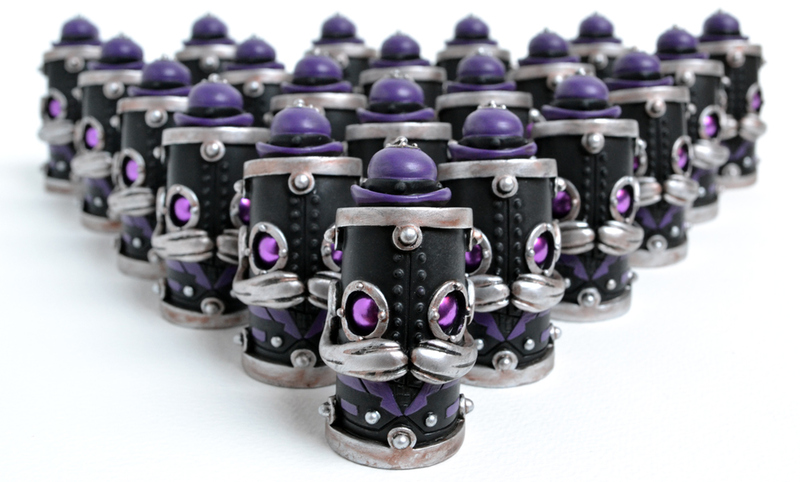 But if you’re not into creating the book’s also full of amazing finished shots of current Steampunk works–along with their tips and insights into their work habits. Available from Amazon and lots of other decent book vendors..
or order direct from the publisher..
Read more from one of the authors Jeff Vandermeer on his blog. 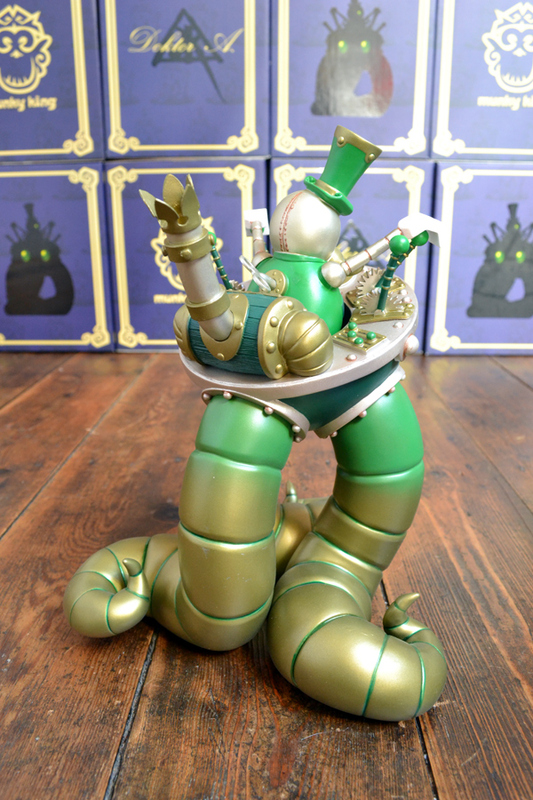 The APs of the Springtime Stroll edition of MrPumfry’s astounding Mechanised Perambulator are now available to purchase from my online store. This colorway dropped at San Diego Comic Con 2014. Following the sold-out Autumn Amble and Winter Wanderland editions, Spring Stroll evokes the lushness of spring with rich green tones and light brass accents. Total run was limited to only 100 pcs. 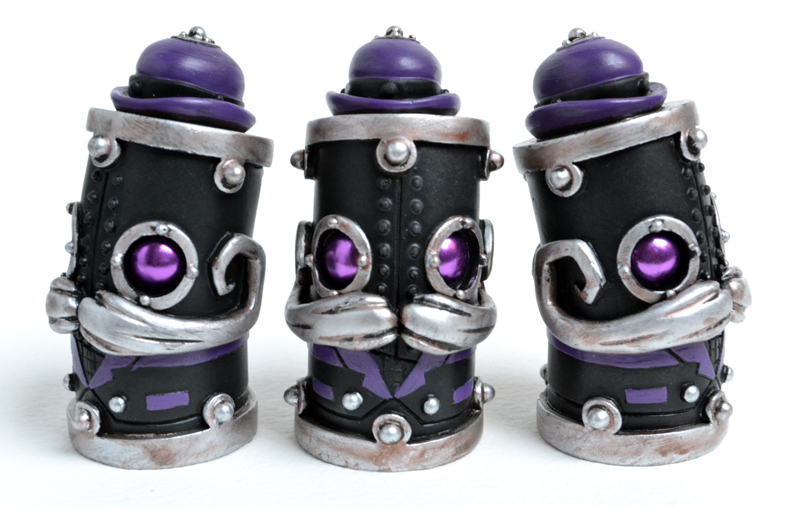 The 10 “AP” (artist proofs) offered here are signed and numbered by Doktor A.